A migrant washes himself outside a crumbling warehouse that has served as a makeshift shelter in Belgrade, Serbia, Jan. 14, 2017. 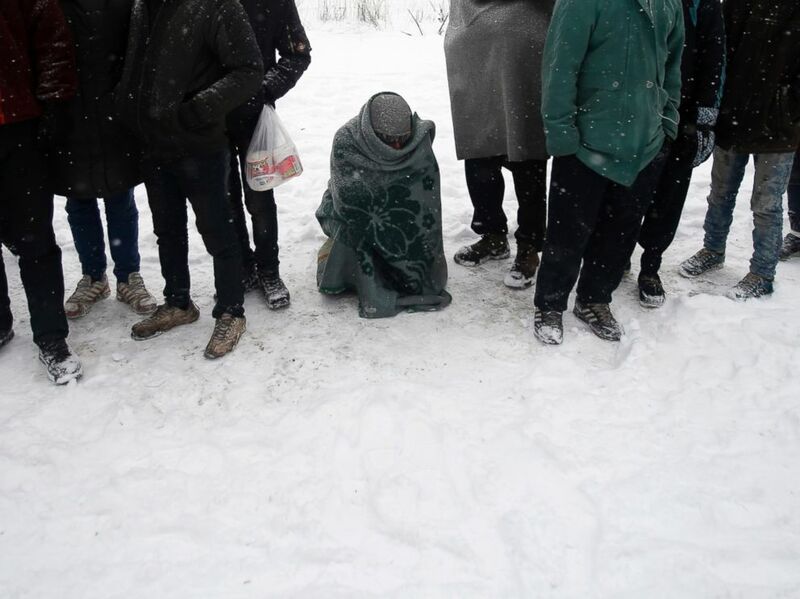 Migrants have been exposed to freezing temperatures and snow as extreme winter weather gripped Serbia and other parts of Europe last week. Once applauded for its treatment of migrants and refugees, Serbia has recently become a frozen, forlorn purgatory. For those trapped on the Balkans route from the Mediterranean Sea to Germany, there's nowhere left to go. Add Refugees as an interest to stay up to date on the latest Refugees news, video, and analysis from ABC News. "Serbia risks becoming a dumping zone, a new Calais where people are stranded and stuck," Andrea Contenta, humanitarian affairs officer for Medecins Sans Frontiere (MSF) in Serbia told the Guardian newspaper, referring to the French encampment cleared by authorities last fall. 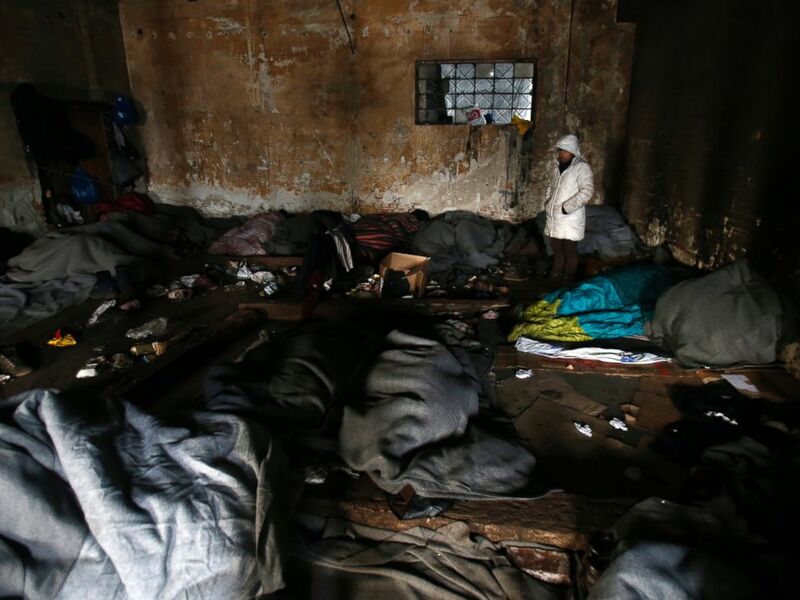 Migrants in sleeping bags rest in an abandoned warehouse in Belgrade, Serbia, Jan. 10, 2017. "They choose to stay here in Belgrade, even if it's terrible," MSF press officer Gemma Gillie added. "They still have their freedom. If they do want to carry on their journey, which a lot of them do, they can. And so they're waiting here." Some 2,000 people are living out of warehouses and empty train cars in Belgrade with no running water and no sanitation, the organization says. MSF runs a mobile clinic, treating about 100 people daily with coughs, colds, hypothermia and frostbite. Migrants queue for food in front of an abandoned warehouse in Belgrade, Serbia, Jan. 11, 2017. The UN estimates about half of the people currently taking shelter in Belgrade are younger than 18 years old, and MSF says they see patients as young as 7 or 8 years old traveling with older siblings. With temperatures expected as low as -4 F this week, Save the Children warned that "the conditions here are very, very difficult, and with temperatures forecast to drop as low as -20 °C today, the lives of children are at risk," said Valentina Bollenback from Save the Children, who is in Presevo, Serbia on the border with Macedonia. "Children are particularly prone to respiratory illnesses at a time like this. It's about saving lives, not about red tape and keeping to bureaucratic arrangements," UNICEF spokeswoman Sarah Crowe said on Friday. "I saw one man brought in who was unconscious from the cold," Tahir Bakhtiary, an MSF translator told the Sunday Times. "Something has to be done. There is nothing there. It could get a lot worse. People could die." 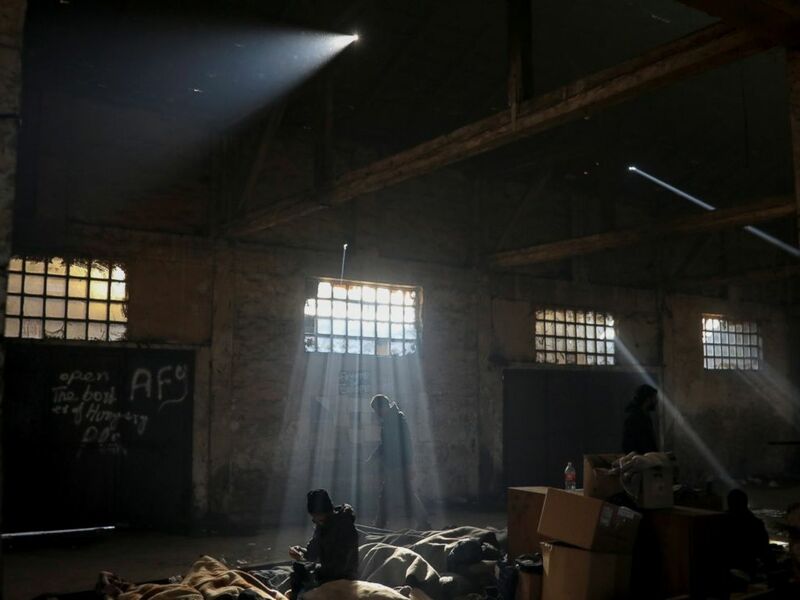 A migrant tries to warm up by a fire inside a crumbling warehouse that has served as a make-shift shelter for hundreds of men trying to reach Western Europe in Belgrade, Serbia, Jan. 12, 2017. And they are dying. Aid agencies say at least five asylum-seekers have died in Europe, and more could follow when temperatures plummet this week. "Saving lives is the most urgent priority right now," UNHCR spokeswoman Cécile Pouilly told reporters. "We are extremely worried about continued reports of push-backs in all countries along the Western Balkans. These practices are simply unacceptable and must be halted, as they place the lives of refugees and migrants at heightened risk and violate their most fundamental rights." 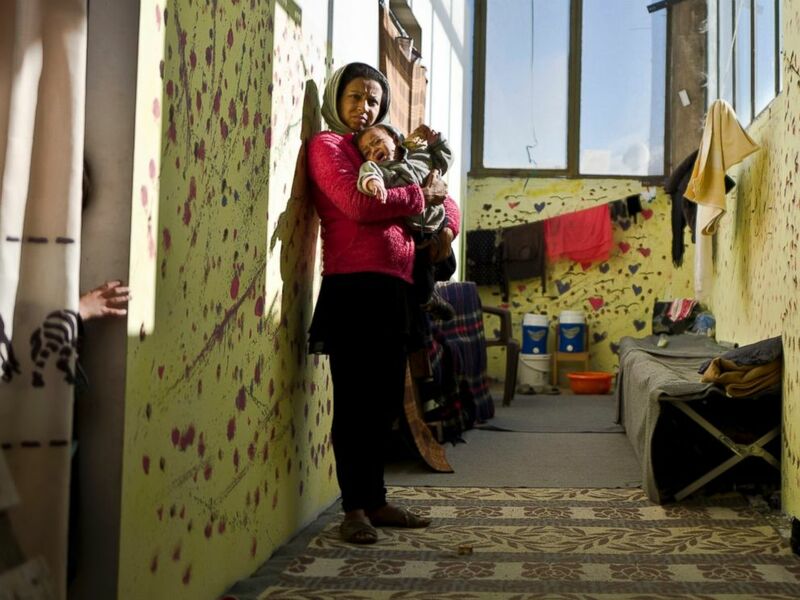 Speaking to Save the Children in Serbia, a man using the pseudonym Nasir, who fled the war in Syria five months ago with his wife and two small children, said they never expected this. "The boat journey was the hardest part. 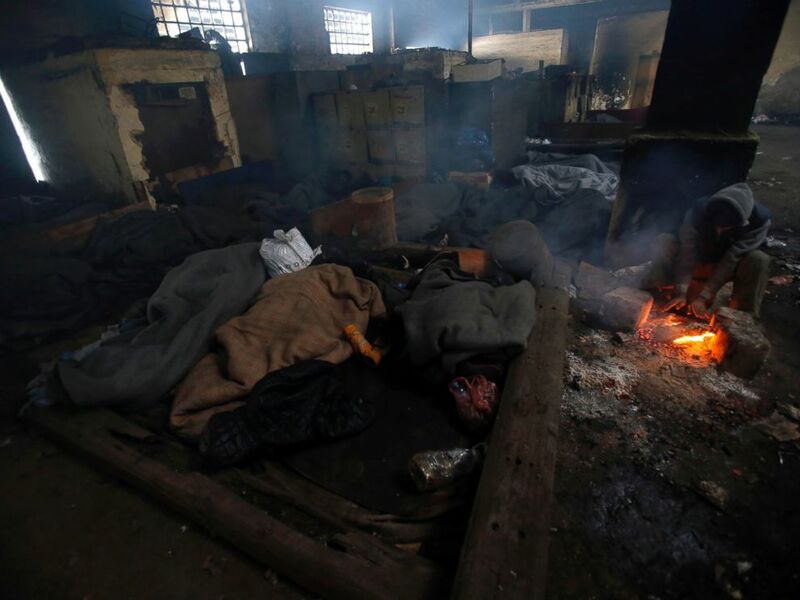 It was extremely cold, everything was wet and the babies were ill," he said. "Sometimes I fear for my children. We couldn’t remain in Syria, but it doesn't get this cold there. We have never been this cold." English language graffiti pleading for help is scrawled across the walls in Belgrade. "No one leaves home unless home is the mouth of a shark," reads one message, in an image snapped by the MSF press officer, Gemma Gillie. Other messages read: "We are helpless" and "Please don't forget about us." Of the more than 7,000 refugees, asylum-seekers and migrants currently in Serbia, most are in heated government shelters. But it's the nearly 2,000 that remain outside, unregistered, that has aid agencies terrified. An Iraqi refugee staying at one of the centers told UNHCR: “The room is small, but I cannot be angry at Serbia because we did not get beaten up here. We were given a bed and warm meals."